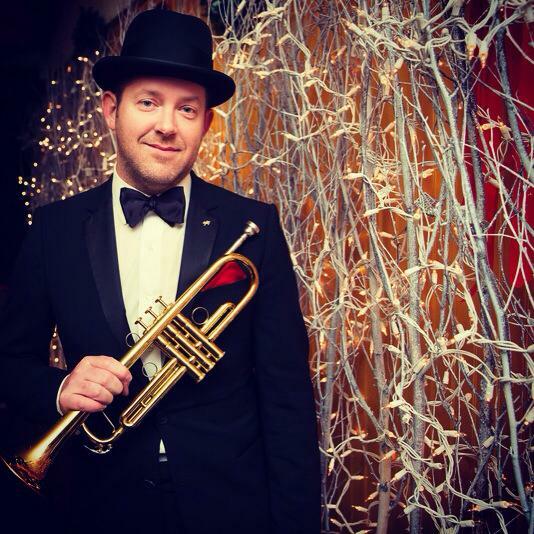 Born and raised in the SF Bay Area, Niel has been performing on the trumpet since age 11. Niel has traveled around the world to perform with a diverse mix of leading jazz, pop, rock, and hip hop groups. Equally comfortable in a intimate jazz club, a broadway show pit orchestra, or in front of a large arena sized crowd, he has played with internationally renown musicians Seal, Gladys Knight, The Temptations, The Four Tops, Deltron 3030, Chali2na (Jurassic 5), DJ Q-Bert, Clint Black, Michael Feinstein, Arturo Sandoval, Jon Faddis, Tom Scott, Sheila E., Louie Bellson, Dee Dee Bridgewater, Pete Escovedo, Tommy & Jimmy Doresy Orchestras, Cab Calloway Orchestra, Realistic Orchestra, (Grammy Award Winning) Pacific Mambo Orchestra, and the Jazz Mafia Hip Hop Symphony. Niel has toured Europe with Louie Bellson, Jon Faddis, and the Pete Escovedo Orchestra featuring Sheila E with appearances at the Montreux Jazz Festival, North Sea Jazz Festival, Umbria Jazz Festival, and the Vienne Jazz Festival. Niel has played with Seal, Gladys Knight, Zac Brown, Clint Black, The Temptations, The Four Tops, Deltron 3030 (Gorillaz), Charli2na (Jurassic 5), The Dave Brubeck Big Band, Bernadette Peters, Travis Sullivan’s Bjorkestra, Tommy Dorsey Orchestra, Jimmy Dorsey Orchestra, Jon Faddis, Dee Dee Bridgewater, Dave Brubeck, Frankie Valli, Huey Lewis, Steve Miller, Robbie Krieger, Jim Belushi , Dan Akroyd (as the Blues Brothers), Patti LaBelle, BB King, Bernadette Peters, Bob Newhart, Lara Johnston, Tom Johnston (Doobie Brothers), Frankie Avalon, Bobby Rydell, Fabian, Mitzi Gaynor, Tommy Igoe Band, Terese Genecco, Bjorkestra, Bud E. Luv, Terry Miller, Bray, Sandy Hackett, The Dells, The Lettermen, Giacomo Gates, Marvin Stamm, Billy Higgins, Bobby Hutcherson, George Graham, Wycliffe Gordon, Mark Applebaum, Fil Lorenz and the Collective West Jazz Orchestra, Orquesta Borinquen, Orquesta Kache, Julio Bravo Orquesta, Franco Brothers, Tito Garcia, Heart and Soul, Harold Jones and the Boss Men, The Don Piestrup Band, Stanford Jazz Orchestra, Contemporary Jazz Orchestra, Realistic Orchestra, Jazz Mafia, and the Rudy Salvini Jazz Orchestra. When he is not touring or recording, Niel can be found in one of the many performing arts venues in the San Francisco Bay Area…including Yoshi’s San Francisco, Treat Street Social and Bohemian Club.